About three seconds after stepping into a guest elevator at Aulani my daughter points toward the ceiling, spotting an unusual character gazing down on us. We’ve just checked in and are headed to our room when she sees the little pot-bellied creature lurking on a ledge inside the lift. No, it’s not real. Or we don’t think it is anyway. It turns out the carved figurine was one of many Menehune hidden among the grounds at Aulani, a Disney Resort and Spa located in Ko Olina, just north of Honolulu. Many believe that the beauty of Hawai’i is due to the swift and magical work of the Menehune, the little people who live in the islands’ forests. The legend is well-known among islanders (not so much to visitors) so they come as a welcome surprise. The Menehune Trail (i.e. scavenger hunt) is just one of the creative ways Disney has found to share the stories of Hawaii. 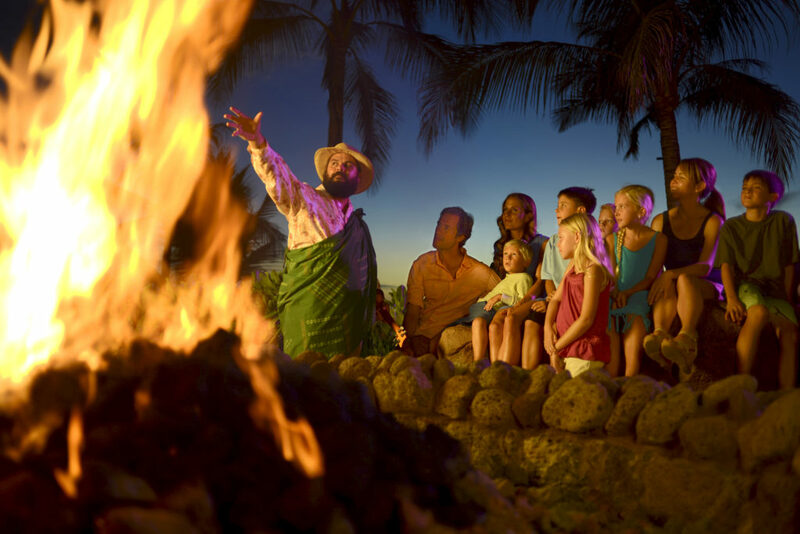 Before the resort opened in 2011, Disney Imagineers traveled throughout the islands gathering stories from historians, artisans, musicians, language specialists and others. The design of the resort is an homage to the south pacific culture. Murals on lobby walls depict ancient stories and kapa patterns (Hawaiian-patterned fabrics), guest room towers resemble upright canoes and the rooms themselves include only subtle Disney influences, like hidden Mickeys in the quilted bed covers. It’s clear that the focus is on Hawaii first and Disney second. And that’s just fine with my Hawaii- and Disney-obsessed daughter. She didn’t know we were heading to Aulani when she woke up that morning. I’d kept the trip quiet (she thought she was going to school) and surprised her to celebrate her tenth birthday which had just recently passed. Winning! She was in her element at Aulani, spending her free time floating along the lazy river, zipping down water slides, snorkeling in Rainbow Reef—the resort’s private 3,800 square-foot saltwater lagoon—and sitting fireside listening to “Uncle” (referring to an endeared older man) pass along native tales through mo’olelo, traditional Hawaiian storytelling. As an only child, my daughter has no problem being on her own but she enjoyed hanging out with the friends she met at Aulani, including freckle-faced Matthew who was visiting with his two dads (Aulani, like most Disney properties, is very LGBT friendly). She also spent time exploring Aunty’s Beach House, the 5,200-square foot kid club tricked out with interactive games, video games, a movie room, crafts and much more. There was no extra charge for her to play at “Aunty’s,” which freed up a little extra cash for me to visit the Laniwai Spa. I KNOW AN OPPORTUNITY WHEN I SEE ONE, PEOPLE! 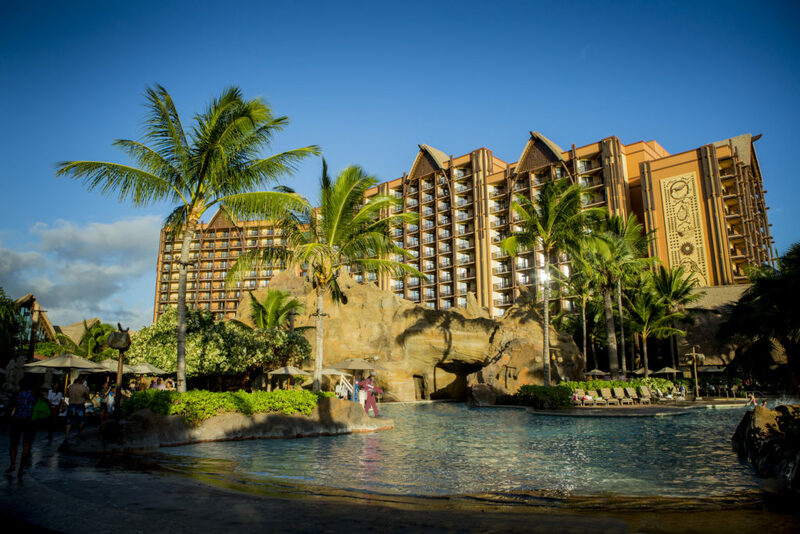 Aulani is the only Disney-owned hotel with a self-operated spa and it does not disappoint, with an outdoor hydrotherapy garden, posh treatment rooms, salon and luxurious spa shop. Given how much Aulani has to offer, we only left the resort a few times. We joined our new friends for an excursion into Honolulu one day and another was spent exploring the North Shore—traipsing through a cleansing tropical rain at Waimea Valley and having lunch in the surf town of Hale‘iwa. 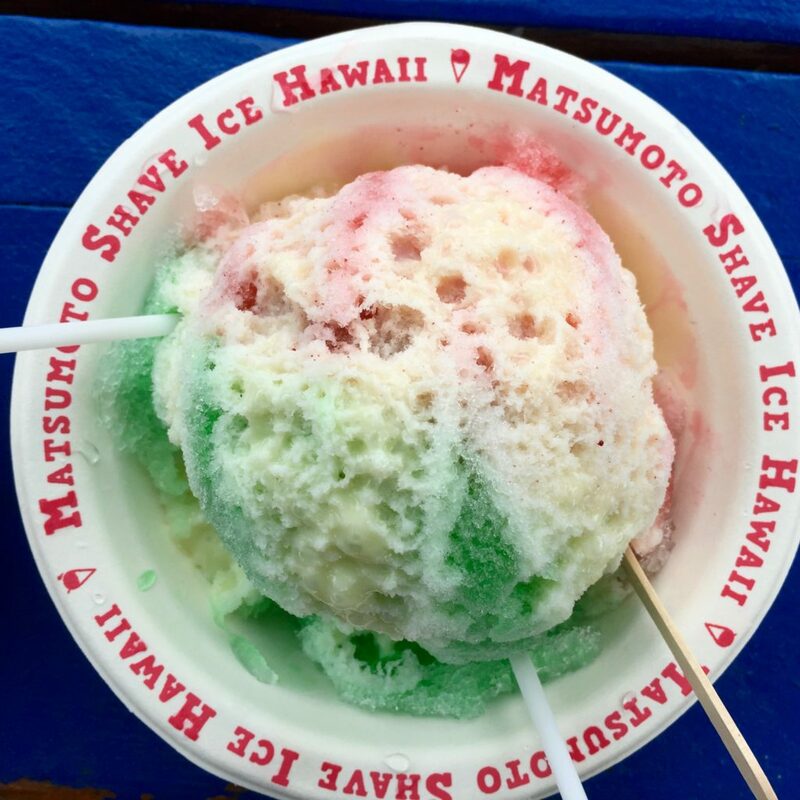 Before heading back to Aulani, we endured the serpentine line of people waiting to indulge in Hawaiian Shave Ice from Matsumoto’s—a must for any non-diabetic. The days spent exploring the island were memorable but in reality, there’s so much to see and do at Aulani, it was hard to tear ourselves away for long. After five years, Aulani continues to be the only stand-alone resort in the Disney empire and maybe that’s a good thing. Unless they can create another that captures a true sense of place like Aulani does, it might be best to stick with theme parks.